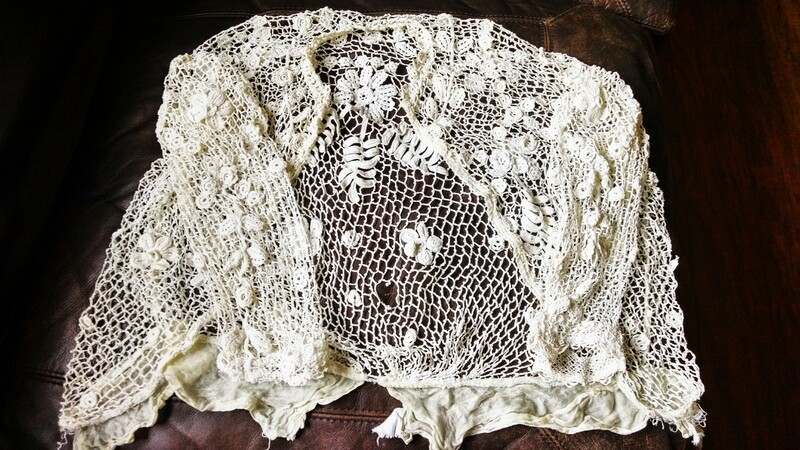 This lace belongs to a friend of mine who has had it for many years. 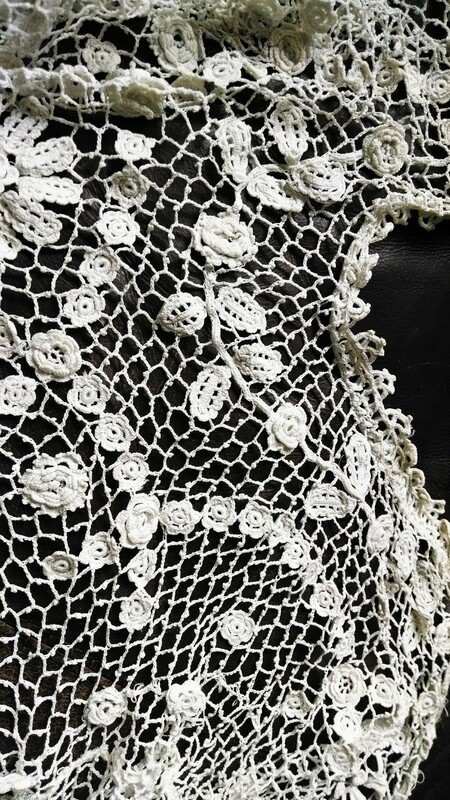 It’s hand made Irish crochet lace. 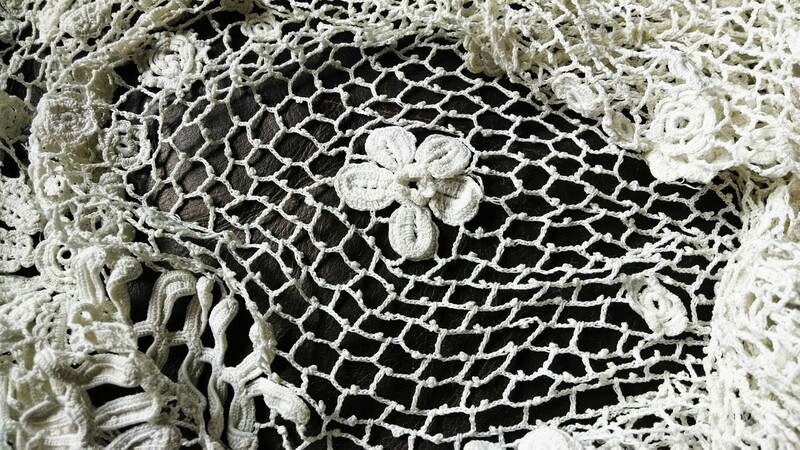 A few of the floral motifs have been torn out here and there, and the picot netting is torn in several more places. She asked me if I would be able to repair it, and help her preserve it. 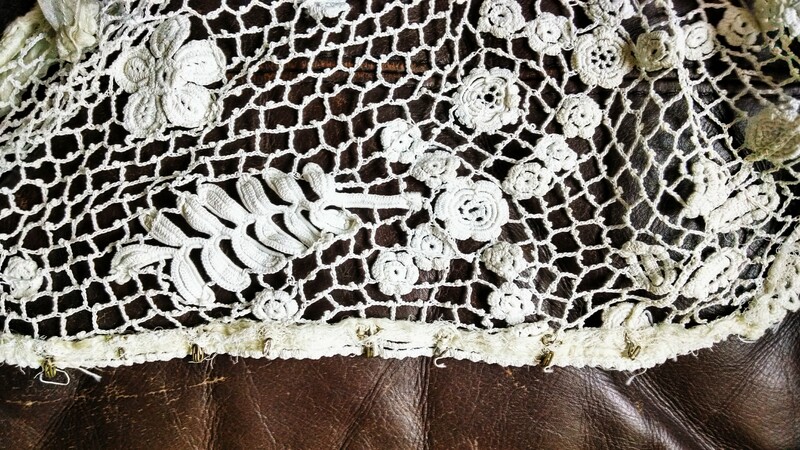 I have to admit that repairing a hundred+ year old piece of handmade Irish lace is a nerdy kind of wonderful. I readily agreed. So much history here. In examining the lace, it was easy to see how the damage had happened. These little hook closures across the front of the jacket have caught on the lace and inadvertently been pulled, ripping through the aging thread. 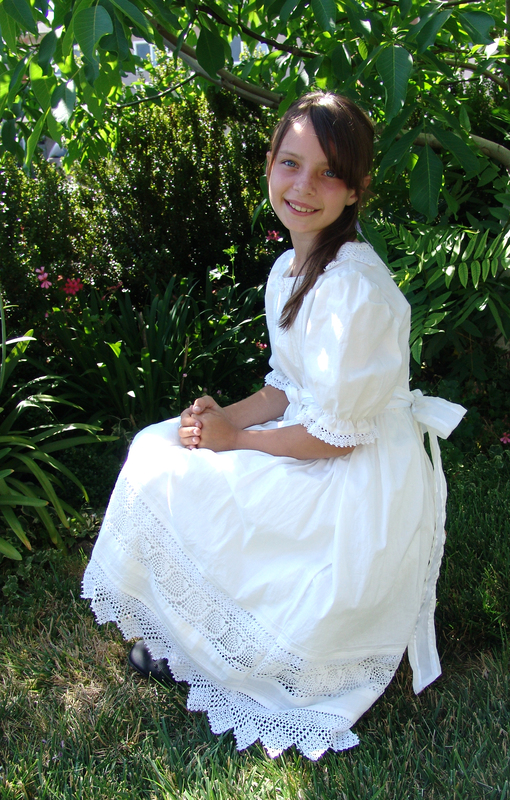 My first job was to whiten the lace. I had no thread that would match the deep antique yellow it had become over the years, so I consulted with my mother-in-law who has a lot of experience laundering old lace. She suggested Clorox II. It has no chlorine bleach in it, so it won’t damage the fibers, but it does an amazing job of whitening. It has a bit of bluing in it also, which helps the thread appear whiter. The washing process took an entire evening, soaking, agitating, and rinsing. The gentle process did a great job of taking a lot of the aged color from the thread. 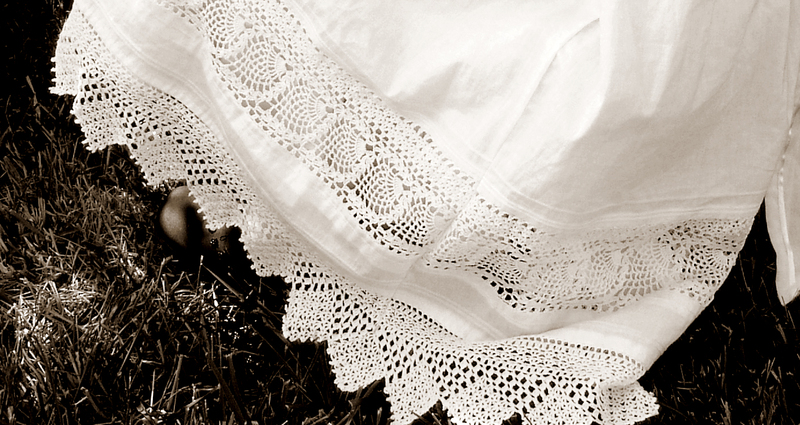 Once the lace was a lighter color, not quite pristine white, but tolerably close– my thread was a sufficient match and the repair could begin. 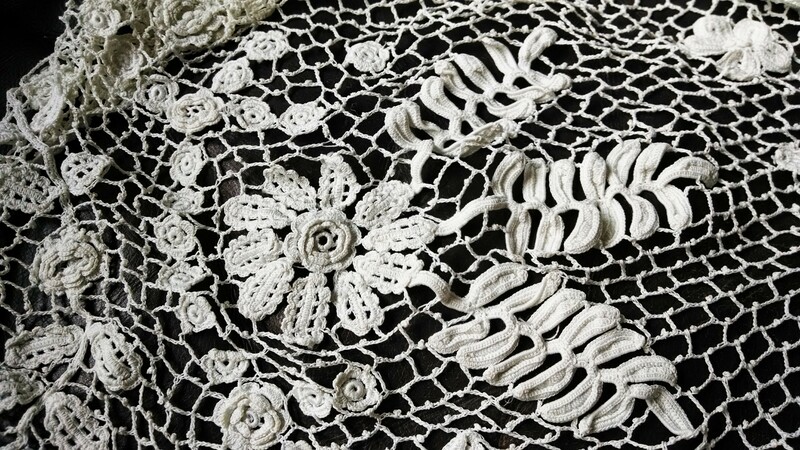 Irish floral crochet motifs embedded in picot ground. I’m not done with this project yet, but making good progress. I just love studying all the old motifs. I can copy most of them from experience and observation. The stitch tension is tighter than my tension, so I’m using my very smallest hook, Tulip, size 23. I’m looking forward to posting finished pictures.